True vintage ones are hard to come by, and the differences are subtle: The sole is heavier, and the toe cap is smaller. The tell-tale sign, though, is that they’re made in the USA. Pictured above is the first pair of US-made Converse All Stars that we ever shipped. Matt asked for Chucks in particular, and we hope he’s excited to get a pair. And he got this great flannel, too. Read the letter below. Converse Chuck Taylor All Stars Oxford Low: Well, here’s a first. 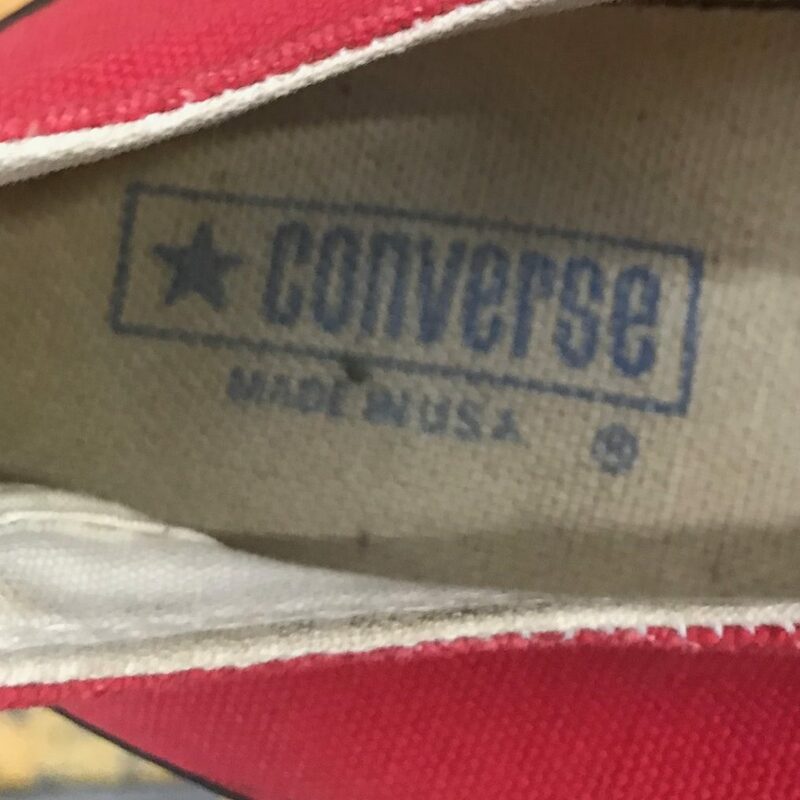 I went five years of regularly thrifting and never found a pair of Made in the USA Converse All Stars. This month I’ve found 3 pairs, and wouldn’t you it’s something you requested and they’re in your size. If you wear the shoe, you’ll notice these are a bit heavier than anything made recently, but they’ll also last a bit longer. But it’s still the same classic canvas upper and rubber cap toe. Unlike anything now, these, as I mentioned, are US-made. 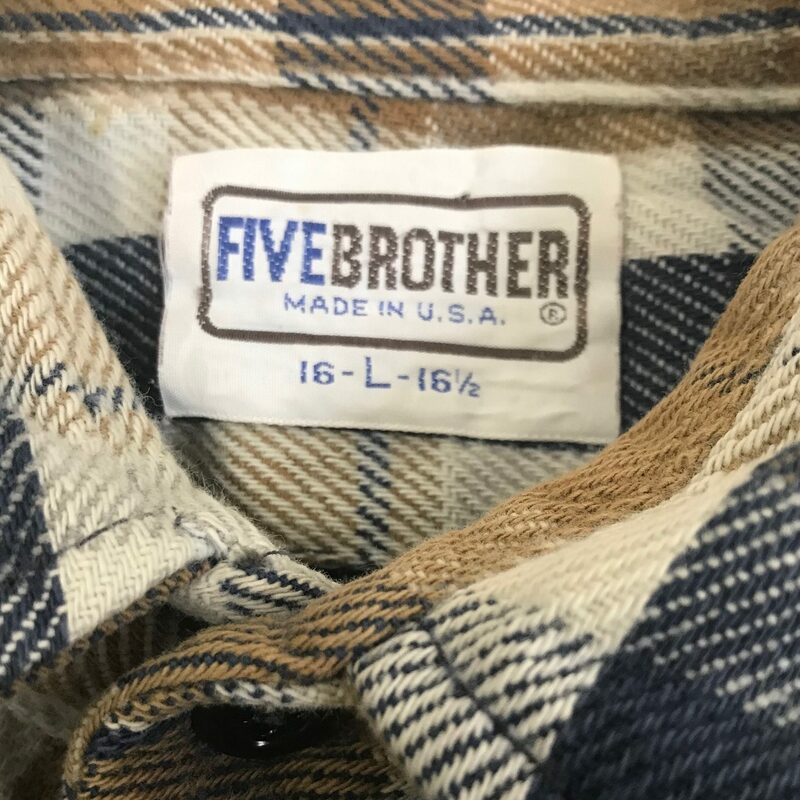 Five Brother Flannel: Speaking of US-made, here’s a 5-brother flannel in a muted navy-tan-white plaid with twin flap pockets and a point collar. I did a small repair to the right pocket, but it should be good to go. 100% cotton and made of Cone Mills Brawny twill flannel. Some Other Things: I hope you find these fun or useful or both. Want to get a box like Matt’s? Subscribe to Comma Vintage.